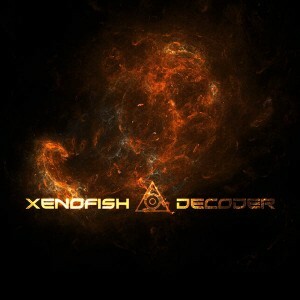 Decoder is the second release from German artist Xenofish (Christian Becker), following up on Encoder. Here we have a collection of his latest psychedelic drum ‘n bass tunes mixed with glitch and downtempo. His style has developed and now involves more powerful drums and extensive synthesizers and effects. Expect a dark fusion of elements on this white-knuckle ride into a science fiction future! Mastering and artwork by Christian Becker. Vocals on track 7 by Hatsune Miku (Vocaloid 3). MP3 Download | FLAC Download | WAV Download · Download count: 10,702. Sounds like a Sci-Fi-Cinematic. Not my favourite style but sounds very epic and interesting. I like that you have explored some different audio terrain. Some very cool ideas here! Dont get me wrong the rest of the album is great too, maybe I was just expecting something else. in the whole album, not just in some tracks, but in an other hand, the experimental parts are interesting, so i won’t complain ! I still rated it max value to give it more ‘visibility’. A very interesting album, nice themes, great music. Feel like I’m ripping someone off. This is tenfold better than music I pay for. Unreal. Thanks so much!!! Love the hybrid style!! Been listening to this album from time to time over the tre past years. Iloved it then, i love it now, this masterpiece shall never leve my collection or go unheard on any party im attending! Thank you so much for this.